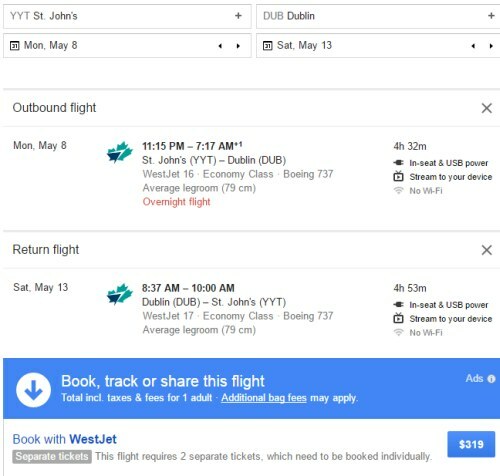 WestJet has dropped the price of their May 2017 flights from St. John's, Newfoundland to Dublin, Ireland down to between $311 and $445 CAD roundtrip including taxes. Update 4/29 - Prices look to be higher on FlightHub now, but you can still find these for $370 to $399 CAD roundtrip including taxes. 2. 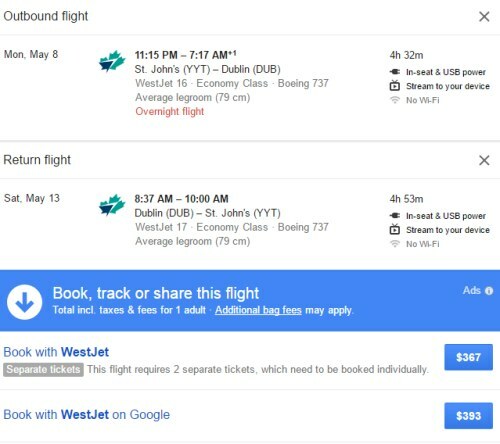 Select your flights on Google Flights and click through to the WestJet website for booking. 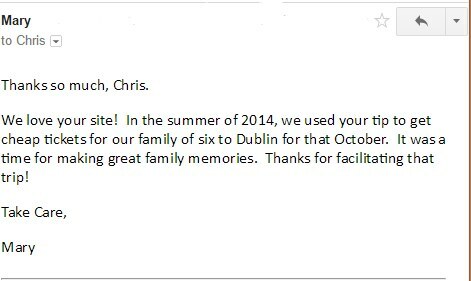 You also have the choice to book it as a regular roundtrip flight, for around $25 more. Update 5/1 - Prices have dropped even further, and you can now find a few of these flights for $319 CAD roundtrip including taxes! Update 5/4 - May 18th is now available as a return date. 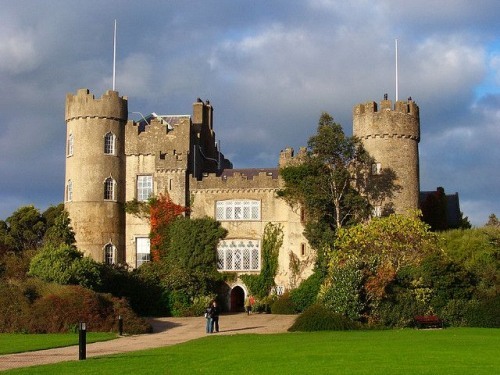 May 8 to May 18 from St. John's to Dublin, Ireland can be booked for $311 CAD roundtrip including taxes.